We will all remember the 88th annual Academy Awards as the night that Leonardo DiCaprio finally won his Oscar after six nominations and years of jokes at his expense. But that wasn't the only memorable moment of the night. Host Chris Rock took aim at Hollywood racism, Tracy Morgan made an appearance as The Danish Girl, C-3PO, R2D2 and BB-8 stormed the stage, and Jared Leto asked us to Google the word "merkin." 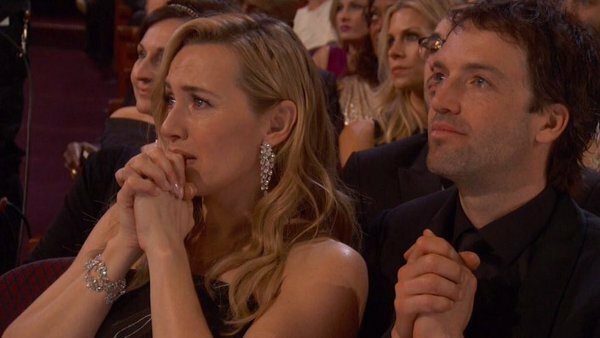 Relive the best moments of the 2016 Oscars (along with some of the worst) with this roundup of the best GIFs of the night. What happened at the Oscars? Well, nostalgia reigned as Buzz and Woody handed off a Best Animated Feature award to another Disney Pixar heavy hitter Inside Out, Stacey Dash made an awkward cameo, and Spotlight took home the Oscar for Best Picture. From the most cringe-worthy fails to the most triumphant wins, the 2016 award show moments you'll remember forever are on this list. These were the best things to happen at the Academy Awards. He may not have nabbed Best Supporting Actor prize, but he definitely captured the hearts of ladies everywhere. Yes, these are the droids you're looking for. And one bonus adorable little boy.